Independent reading is time set aside during the school day for children to read silently to themselves or quietly to a buddy. 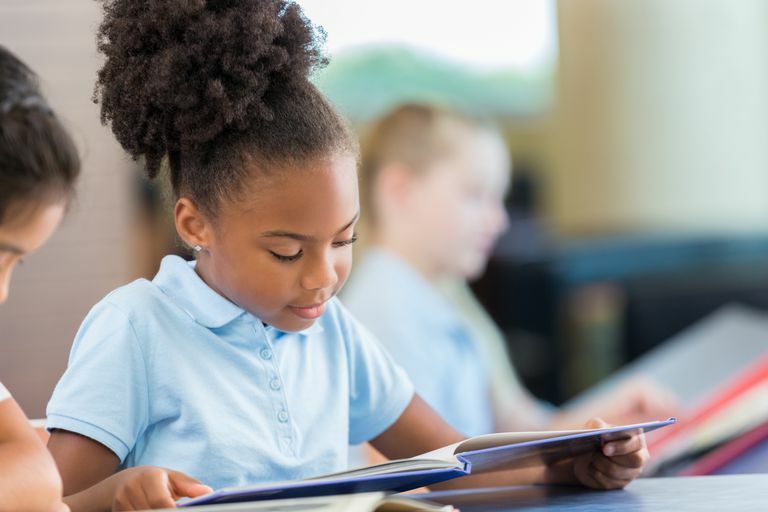 Providing a minimum of 15 minutes each day for independent reading is vital to help students improve reading fluency, accuracy, and comprehension, and to increase their vocabulary. Allow students to select books of their choice for independent reading and select new books weekly or monthly. Guide them to choose books they can read with about 95% accuracy. Schedule individual student conferences during the independent reading time. Use the conference time to assess each student's reading fluency and comprehension along with his understanding of key story elements. Use the following independent reading activities to increase literacy in your classroom. 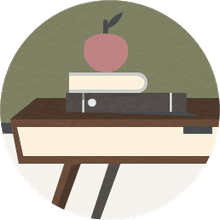 The objective of this activity is to increase reading accuracy and fluency and to assess students' understanding of the book through a written response. First, students will fold 3-5 blank sheets of paper together so that they open to the right. Staple the pages together along the crease. Each day, after students complete their independent reading time, they should complete a dated diary entry in the main character's voice. The entry should detail an important or exciting event, the student's favorite part of the day's reading, or what the student imagines the main character may be thinking in response to what happened in the story. Students may illustrate the diary entries if desired. The objective of this activity is to increase reading accuracy and fluency and to assess students' reading comprehension. Students must read a book, either independently or as a group. Ask the students to write a review of the book they read. The review should include the title, author's name, and plot, along with their thoughts about the story. If you choose to have the entire class read the same book, you may wish to let students create a classroom graph showing who liked and disliked the book. Display the graph along with student book reviews. The objective of this activity is to assess the student's comprehension of the story through a written response. Students will fold a piece of blank paper in half so that it opens like a book. On the front cover, students will write the book's title and author and draw a scene from the book. On the inside, students will write a sentence (or more) stating one lesson they learned from the book. Finally, students should illustrate the sentence that they wrote on the inside of their book. The objective of this activity is to assess students' comprehension of the book they've read and their understanding of key story elements through a written response. When the students are approximately halfway through the book, instruct them to write the scene they think will happen next. Tell students to write the additional scene in the author's voice. If students are reading the same book, encourage them to compare scenes and record similarities and differences. The objective of this activity is to engage students with literature and help them understand point of view and the author's voice through a written response to a story. After the students have finished reading a book, instruct them to write and illustrate an epilogue. Explain to students that the term epilogue refers to a section of a book that takes place after the story has concluded. An epilogue provides closure by giving more information about what happened to the characters. Remind students that an epilogue is written in the author's voice as an additional part of the story. The objective of this activity is to assess the student's comprehension of the story and his ability to identify the topic and main points. Students will draw a circle in the center of a blank piece of paper. In the circle, they will write the topic of their book. Next, students will draw six evenly-spaced lines around the circle from the circle toward the edge of the paper, leaving space to write at the end of each line. At the end of each line, students will write one fact or event from their book. If they are writing events from a non-fiction book, they should maintain the proper sequence from the story. The objective of this activity is to assess a student's comprehension of the story setting and encourage her to use details from the book and her mental picture to describe the physical layout of the setting. Instruct students to think about the setting of the story they just read. Does the author give details about the location of the places in the story? Usually, authors provide some indication, although the details may not be explicit. Ask students to create a map of their book's setting based on explicit or implied details from the author. Students should label the most important places such as the main character's home or school and the areas where much of the action occurred.